You can find this section under Application Settings > Application Settings in the IRP Admin left navigation menu. Application Settings act as default settings for almost all of the features within the IRP. Although there are a large number of settings, it is unlikely that you will need to amend many of them as they are included so that an expert can fine-tune your IRP-based website. Help topics in this Knowledge Base also reference Application Settings that are related to each IRP Admin section. Configuration options for key payment systems such as PayPal and WorldPay. Which features are enabled and which features are disabled. How the IRP is run on a day-to-day basis. Configuration options for third-party add-ins such as affiliates or scripts. Other areas of the IRP. The main Application Settings are defined when your IRP is being set up. After this, there is generally no requirement for you to change any of the settings unless new features are being added or switched on. The default values are mostly ones that a default setup should use. Only someone who is qualified in IRP Administration should make changes to Application Settings. For changes to be effective, the Admin User must click the Application Settings button followed by the Uncache button in the bottom nav. This help topic provides an overview of the main IRP Application Settings and, at the bottom of the topic, you can find a list of the Advanced Settings available. Application Settings are grouped into multiple sections containing configuration options for each IRP feature. Each of the sections is listed in the following table. There are too many individual settings to cover in detail in this help topic, however most settings have a tool tip that provides detailed information on how to use the setting (you can view tool tips by hovering your cursor over the question mark (‘?’) in the blue square adjacent to each setting). In addition, some key settings are picked out for explanation in the table below. Enable Ajax Add To Basket: If enabled, the Buy button will work off an asynchronous AJAX post and not a Post Back. The effect of enabling this setting is that the customer will not immediately be redirected to the basket page when they click the Buy button; instead they will see a pop-up window that offers them the choice to go to the basket page or to continue shopping. Enable Ajax Add To Basket Recommendations: If enabled, recommendations will appear on the AJAX Add to Basket popup when a customer clicks the Buy button on the Models page. Enable Add To Basket From Stock Options Popup: This setting affects the functionality of the Stock Popup that is displayed when a customer hovers their cursor over 'Options Available' on products on a number of product listings on the front-end. When the Application Setting is enabled, the Stock Popup will display a drop-down list of Stock Options for that product and allow the selected Stock Option to be added to the customer's Basket directly from the popup. If the Application Setting is disabled, the default functionality displaying links to the Stock Options will be shown. If the 'Enable Ajax Add To Basket' Application Setting is enabled alongside this functionality, the Stock Option will be added to the Basket via an AJAX request and the Add to Basket confirmation lightbox will be shown. If 'Enable Ajax Add To Basket' is disabled, adding items to the Basket from the Stock Popup will direct the customer to the Basket page with the selected item added. Show Part Code In Add To Basket: This has three possible values: Do Not Show, Part Code or External Stock ID. This assists IRP clients who wish to display External Stock IDs on their website front-end to tie in with their catalogues or to help shops identify products quickly for telesales. Show Quantity Discounts Only When Present In Model: If set to true, Stock Quantity Discounts will only be displayed on the Add to Basket controls on the Models page if they are set up for that particular Model. If set to false and Stock Quantity Discounts are enabled, the Add to Basket controls will display quantity text boxes beside each Stock Item regardless of whether that particular Model has Stock Quantity Discounts set up. This should be set to true if you only want to allow Quantity Discounts on specific Models. Show Stock ID In Add To Basket: If enabled, the unique IRP Stock ID will be displayed in the Add to Basket control on the Models page beside each Stock item within that Model. Enable IRP Support Tickets: If enabled, you will be able to create IRP Support Tickets from your Bottom Navigation bar in Admin. Enable Customer Account Creation: This is the main switch for allowing business customers to create an account on your website. Hide Prices Until Logged In: Checking this box means that your prices are not visible to anyone unless they have logged in as registered customers. This group defines which selector buttons are available for banner design. Show Images In Basket: If set to true, Product Images will be rendered in a Customer's Basket. If set to false, only the Product text will appear. Show Empty Basket Link: If set to true, an Empty Basket link will be rendered on the Basket page allowing the Customer to completely empty their Basket. Show Basket Link Hover Images: Determines whether the Basket Summary Dropdown displays Images. Enable Checkout: If enabled, the Secure Checkout will be available for Customers to checkout their purchases. If disabled, the Secure Checkout will not be available. Enable Guest Checkout: Enabling this allows customers to check out as guests rather than sign up for a full Customer Account. Note that if the customer’s Shipping Country requires Terms and Conditions, the new ‘Place Order’ button will not be displayed. In addition, if the customer is checking out via Amazon Pay, the new ‘Place Order’ button will not be displayed. This group defines several options for the Click And Collect feature. The key setting here is Enable Click And Collect — this determines whether the Click And Collect functionality is active on the front end of the website. Enable Gender: Enabling this function will ask your customers whether they are male or female when they sign up for an account on your site. This will also effect what results display on the Also Bought section. Default Site Gender: This setting is useful for websites that cater predominantly to shoppers of one particular gender. If you enable this setting, when a customer sets up an account or subscribes to a mailing list, the radio button that they use to indicate their gender will be pre-selected using the ‘Default Site Gender’ value. Enable Customer Date Of Birth Entry: This enables customers to add their date of birth to their account details. Enable Geo Location Country Lookup: This determines whether a customer’s initial location is determined from a stored IP Address in the Geo Locations Admin page or from the Country element of their browser session. The key setting in this grouping is Enable Deliver To Store — this determines whether the Deliver To Store functionality is active on the front end of the website. This grouping contains settings that should no longer be used on the IRP and are provided for reference purposes. Examples of deprecated settings include the old ‘Enable Google Certified Shops’ settings (this feature has been replaced with the ‘Google Customer Reviews’ feature). This group defines email-related settings including display name, profile and address properties. Enable Facebook Conversion Tracking: This enables the rendering of the Facebook tracking code. Please note, you must also add the Facebook Conversion Pixel ID for this to work. Facebook Dynamic Product Ads are also served by this and you simply have to upload the appropriate Feed from the Feed Management section of IRP Admin into your Facebook account to take advantage of this. Facebook Conversion Pixel ID: This is the pixel ID, taken from your Facebook Business account, that you wish to track your traffic and conversions against. Facebook Conversion Tracking Use Total Price: If you want Facebook Conversion Tracking to work off the Total Price of the order rather than the Sub Total, check this box. Enable Customer Account Creation: This enables customers to create accounts. Enable Email Address DNS Validation: This enables a validation check that the domain name portion of the email address entered by users actually exists. Note that using this will cause extra outbound traffic and potential delays. Enable IRP Error Recording: This determines whether or not new errors generated by the IRP are recorded in the database and listed on the IRPErrors.aspx page (see IRP Errors for more details) and if the error spike detection Common Task is run. If it is disabled, any previously-recorded errors will continue to be displayed. Enable Fraud Scoring: This enables the fraud scoring feature. Enable Retail Site: This enables the retail website. Either this or the trade site must be enabled for the IRP to work. Set Sub Department Listing Type: This determines the default setting of whether Level 3 (Sub Department) Categories show either the full list of products underneath, or an image based list of sub categories. This setting can be overridden at the category level. Please note that all category levels below and above this have pre-determined listing styles e.g. Departments will always show a category listing, Level 4 Categories will always show the list of products. This includes several settings for the Google Analytics API, including the Profile ID and Service Account Email Address. Refer to the tool tips for details (you can view tool tips by hovering your cursor over the question mark (‘?’) in the blue square adjacent to each setting). Google Shopping Account ID: This is the account ID from Google Merchant Center. This is the account ID that Google shopping results are listed under. This is required if you submit product or search feeds to Google. Enable Help: If set to true, Site Help will be available on the front end of the website. If set to false, the user’s browser will redirect to the home page if they attempt to access the front end Help page. Note that you can still add website Help even if Help is not enabled. Home Page URL: This determines the URL that the Logo Top will redirect to once clicked. Enable All Country Homepages: If enabled, home pages that have been added for All Countries will take second preference to home pages added for a specific Shipping Country ID. Note that these home pages will be displayed before Auto Homepages are generated for a Country. Enable Auto Generated Homepages: This enables home pages to be created for Countries where no manual home pages have been set up. Auto home pages generate Best Selling Products for a given Shipping Country. This group defines column and query settings for integration files. Default IRP World Shipping Country ID: This is the Shipping Country ID (taken from the IRP World) that determines from where domestic and international sales derive. For example, if your company resided in Ireland, this would be the IRP World Shipping Country ID 105. The values are stored on the IRP World and should be set by your IRP Consultant. IRP Statistics Auto Calculation Period: This setting is used in the Common Task for auto-updating IRP statistics. The value determines how far back statistics will be calculated. IRP World Company Account ID: This setting defines your IRP World Company Account ID. This should be set by your IRP Consultant. This group includes the Enable Kits Confirmation Page setting. Check this box to ensure that a confirmation dialog box is displayed when an IRP Admin User collects products into a kit. This group defines how the product filter on the left navigation of your website is displayed. There are multiple settings in this group that you use to order and sort the attributes in the menu. Live Support Enable In Top Nav: This setting enables the Live Chat functionality on you website. This group enables or disables reward card collection and defines discount settings. Refer to the tool tips for details (you can view tool tips by hovering your cursor over the question mark (‘?’) in the blue square adjacent to each setting). Enable Mailing List Popup: Enabling this will automatically show your customers a form to sign up to your Mailing List when they visit the home page. This popup can be animated and positioned in many ways. The key setting here is Enable Amazon Integration: This determines whether the Amazon Integration is live on your IRP. The key setting here is Enable Trade Talk: This determines whether TradeTalk operations and Marketplace functions will be available on your IRP. Enable Mobile Site: If enabled, the mobile site will be accessible for mobile devices. If disabled, the customer will also be directed to the full version of the website regardless of their device type. Enable Mobile Menu: If enabled, a clickable menu will be available on the mobile version of the website. This menu will contain the department and category structure for the website and allow customers to navigate similarly to how they would do on the full version of the website. Show Mobile Filter Menu: When enabled, an Ajax filter menu will display on the mobile site. This functions in the same way as the desktop site left nav attributes menu but is designed for mobile browsing. Mobile Product Data List Size: This is the number of products to display on the mobile site listing pages by default. This group defines multiple display settings for the Models page — refer to the tool tips for details (you can view tool tips by hovering your cursor over the question mark (‘?’) in the blue square adjacent to each setting). This group includes settings for dispatch message display on the Models page — refer to the tool tips for details (you can view tool tips by hovering your cursor over the question mark (‘?’) in the blue square adjacent to each setting). This group includes options for the bottom navigation on your website. Refer to the tool tips for details (you can view tool tips by hovering your cursor over the question mark (‘?’) in the blue square adjacent to each setting). Enable Left Nav: If enabled, the Left Navigation (depending on which display style has been set) will appear on pages it is enabled on throughout the website. Note that the Left Navigation can be switched on or off on various pages using additional settings. Show Right Nav: If set to true, the website’s Right Navigation will appear on the home page. Note that you can also use the 'Mobile Site' Application Setting called 'Show Mobile Top Settings Link' - If enabled, a link to the Customer Settings will appear in the Mobile Top Navigation. This group defines the number of news items to show. This group includes several options for displaying part codes, barcode IDs, images and EAN13 codes. Refer to the tool tips for details (you can view tool tips by hovering your cursor over the question mark (‘?’) in the blue square adjacent to each setting). The key setting is Partner ID Expiry Time In Days — If a customer comes through to a URL with a Partner ID attached, the number of days before that Partner ID will expire from that customer’s browser cookie. Enable Payment By Bank Transfer: This allows your customers to place their Orders, and then initiate a Bank Transfer to complete payment. Bank Transfer Orders will be stored initially as New Offline. Please Note, ensure the details in Large Translation ID 18 are correct before enabling this Setting. Enable Payment By Cheque: This allows your customers to place their Orders, and then post a Cheque to you afterwards. Bank Transfer Orders will be stored initially as New Offline. Please ensure the details in Large Translation ID 18 are correct if enabling this setting. Enable Payment By Credit Card: Setting this to true will enable customers to checkout their Orders using a Payment Card. The Enable Live Charging Application Setting should also be set once your Payment Processor Account has been set up. Enable Payment By Invoice: Setting this to true will enable Customers to complete their Order before settling it at a later date once an Invoice has been sent. Bank Transfer Orders will be stored initially as New Offline. Amazon Pay Use Sandbox: If enabled, the Amazon Pay Sandbox Endpoints will be used rather than the Production ones. This will allow you to test Transactions with your Sandbox account before setting your Amazon Pay account live. Enable Amazon Pay: Whether Amazon Pay is enabled on your website. If you have valid, active Amazon Pay accounts in your IRP, and Shipping Countries set up to allow Amazon Pay, if this overall global setting is true, an Amazon Pay button will appear on the Basket and Payment Details page on the Desktop, Mobile and Private Sale (if enabled) versions of the site. Clicking this will prompt users to log in using their Amazon Account credentials. On successful login, an Address Book and Wallet widget will appear on the Order Summary pages in the Desktop, Mobile and Private Sale (if enabled) checkout inviting Customers to select a Delivery Address and Payment Method from those stored within their Amazon Account. Finance Allow Different Delivery Address: Check this box to allow customers to set a different Delivery Address to their Billing Address when placing orders using Finance as their selected Payment Method. By default, any Finance orders will be shipped to the customer’s registered Billing Address. V 12 Finance Authentication Key: This is the Authentication Key provided by V12 for accessing their web service for Finance Applications. V 12 Finance Retailer GUID: This is the Retailer GUID provided by V12, needed for accessing their web service for Finance Applications. V 12 Finance Retailer ID: This is the Retailer ID provided by V12, needed for accessing their web service for Finance Applications. This group includes multiple settings for configuring PayPal Express Checkout payments. Refer to the tool tips for details (you can view tool tips by hovering your cursor over the question mark (‘?’) in the blue square adjacent to each setting). The key setting is Enable Live Charging — This overall setting allows your website to process Card payments. Note that this should always be set to true once you have set up your Payment Processor. This group includes multiple settings for configuring PayPal Express Checkout payments. Refer to the tool tips for details (you can view tool tips by hovering your cursor over the question mark (‘?’) in the blue square adjacent to each setting). This group includes multiple settings for configuring PayPal Website payments. Refer to the tool tips for details (you can view tool tips by hovering your cursor over the question mark (‘?’) in the blue square adjacent to each setting). Most of these are also available on the PayPal Settings page, with the exception of Enable Payment By Pay Pal Credit Card - setting this to true will enable customers to pay for their ioder using a PayPal Credit Card. This section is no longer used. This group defines keyword file row limits, special character settings and also sitemap URL limits. For example Set Sitemap Url Limit defines the maximum number of URLs to be added to each section of the XML Site Map generated by the IRP. Refer to the tool tips for details (you can view tool tips by hovering your cursor over the question mark (‘?’) in the blue square adjacent to each setting). The key setting is Enable Price Match — When enabled, you are offering to match the Price a customer sees on another website to yours, under certain terms and conditions. Note that you can also enable or disable this on a Model level. This group includes multiple configuration settings for Private Sales. Refer to the tool tips for details (you can view tool tips by hovering your cursor over the question mark (‘?’) in the blue square adjacent to each setting). Hide Products Restricted From Shipping: When enabled, any products with Shipping Restrictions against them will be hidden on listings pages. Note that when a listings page (for example the desktop and mobile versions of BrandCategory.aspx, Brands.aspx or Categories.aspx) cannot display any products (due to the Application Setting 'Hide Products Restricted From Shipping' being active and the customer being from a restricted Shipping Country), the page will display a product list of best sellers that ship to that country (if any exist) and a message informing the customer that the requested products cannot ship to them. Set List Display Style: The default display style of Product Lists on Listing pages (either 1 or 2). 1: List View will be applied rendering Models, 1 per row. The number of Models displayed per page when List View is enabled is 100. 2: Gallery View will be applied rendering Models 3 per row. The number of Models displayed per page when Gallery View is enabled is 96. Please Note, use the ‘Show List Choice’ Application Setting to allow Customers to switch between List View and Gallery View otherwise they will only ever be able to view Models in the List Style applied by this setting. Show View Product Link In Gallery View Listings: When enabled ‘View Product’ call to action links will display for products on all gallery view listings pages on the standard and private sale sites (and on product based home pages). This can enhance site operation on tablet devices. Product Data List Size Gallery View: You use this to define the number of products that will be displayed on the product listing pages whenever 'Gallery View' is selected (assuming 'the 'Show List Choice' Application Setting is also enabled). Product Data List Size List View: You use this to define the number of products that will be displayed on the product listing pages whenever 'List View' is selected (assuming 'the 'Show List Choice' Application Setting is also enabled). Default Brand ID: The ID of the Brand selected by Default in the Product Options bar (just below the website's Top Navigation Tabs). Brand IDs can be found on the Products -> Brands IRP Admin page. Default Category ID: The ID of the Category selected by Default in the Product Options bar (just below the website's Top Navigation Tabs). CategoryIDs can be found on the Products -> Categories IRP Admin page. Enable Unbranded Site: If enabled, Brand Names should be omitted from all areas of the front-end of the website. This can be used for websites that manufacture all their own products. Note that this setting should be used in conjunction with the 'Hide Brand Names' Application Setting. Hide Brand Names: If enabled, Brand Names will be hidden from every area on the front-end of the website. This group includes multiple configuration settings for promotions and vouchers. Refer to the tool tips for details (you can view tool tips by hovering your cursor over the question mark (‘?’) in the blue square adjacent to each setting). The key setting is Enable Voucher Codes — If enabled, customers will be able to add Promotional Voucher Codes at the Basket stage for discount on their Orders. If disabled, the entry text box for Voucher codes will not be available on the Basket page. Enable Recommendations Basket — If enabled, a recommendations scroller will appear on the Basket page. Enable Recommendations Top — If enabled, a message will appear above the Top Navigation (above the site logo) indicating that the IRP has recommendations for that customer. Show Basket Recommendations Below Checkout Buttons — If enabled (and assuming the 'Enable Recommendations Basket' Application Setting is also enabled), the Recommendations scroller on the Basket page will be displayed below the Checkout buttons. If disabled, the Recommendations scroller on the Basket page will be displayed above the Basket Items table as normal. This group includes multiple configuration settings for reviews & questions. Refer to the tool tips for details (you can view tool tips by hovering your cursor over the question mark (‘?’) in the blue square adjacent to each setting). Enable Predictive Search — Set to true to enable an AJAX predictive Search on the website front end. Search results will appear when any character is typed in the search box. The predictive search index should also be reloaded from the application settings > Reload Settings Admin page so that any updated values to appear in the predictive search box. Enable Search Combinations — When a search fails it uses this setting to determine whether or not to then look at the best possible combinations of the search terms. For example, if a customer searches for ‘Pro V1 New’ and no results are returned, this setting then will check for ‘Pro V1’, ‘V1 New’ and ‘Pro New’ together. If they also bring back no results, single search terms are then considered. This setting should be enabled by default. Possibly turn off if search is running slowly when a website has a large number of products. Include External Stock ID In Searches: When this is enabled, customers can search for stock items via their External Stock ID. If a match is found, the customer will be directed straight to the product detail page. As the External Stock ID will usually match a SKU in a third-party system, you should enable this setting only if you think that your customers will know the value of these. Note that, for Trade Site searches, enabling/disabling this setting will be reflected only when you rebuild the Search Indexes. You can do this via the 'Bulk Operations' page in the 'Products' section. This group includes multiple configuration settings for security features. Refer to the tool tips for details (you can view tool tips by hovering your cursor over the question mark (‘?’) in the blue square adjacent to each setting). This group includes multiple configuration settings for fraud scoring on the IRP. Refer to the tool tips for details (you can view tool tips by hovering your cursor over the question mark (‘?’) in the blue square adjacent to each setting). 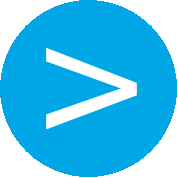 Enable Send Grid Mail Sending — This is the main switch for enabling or disabling the SendGrid functionality. Send Grid API Key — This is where you enter the API key used to authenticate. You can get this key from your SI (or from your SendGrid account). Send Grid API Key For Transactional Email — If you have a different API key to the one above which you want to route transactional (for example, Order Confirmations) email through, you can set this here. Send Grid Use Sandbox Mode — If necessary, you can enable SendGrid's sandbox mode in order to test the integration. Send Grid IP Pool Name — If you have a specific set of IP addresses you want your SendGrid emails to be routed through (for example, you also use your SendGrid account to send mail from other parts of your business), you can specify the name of the IP Pool set up in SendGrid here. Leaving this blank will mean that SendGrid will 'round-robin' your email around the IP addresses set up in your account. Send Grid IP Pool Name For Transactional Email — If you have an IP Pool set up in SendGrid for sending transactional mail only, you can set the name of that here. For more information see Email Campaigns and IRP SendGrid Email Delivery Solution Licence. This group includes multiple settings for general aspects of shipping — refer to the tool tips for details (you can view tool tips by hovering your cursor over the question mark (‘?’) in the blue square adjacent to each setting). This group includes settings for Parcelforce shipping — refer to the tool tips for details (you can view tool tips by hovering your cursor over the question mark (‘?’) in the blue square adjacent to each setting). This group includes settings for Royal Mail shipping — refer to the tool tips for details (you can view tool tips by hovering your cursor over the question mark (‘?’) in the blue square adjacent to each setting). This group includes multiple configuration settings for TNT shipping — refer to the tool tips for details (you can view tool tips by hovering your cursor over the question mark (‘?’) in the blue square adjacent to each setting). Default Target Days To Sell Stock — This is the period of time in which, ideally, all stock belonging to a product should be sold. This will be used for all products unless a model specific value has been provided. Low Stock Threshold — If a Stock Item’s In stock value falls below this Threshold, the Add to Basket controls on the Models page will display as Only x amount Left in Stock. Stock Sales Velocity Time Frame Days — This is the interval at which to record sales velocities for products. For example if set to 7 this will record the sales velocities of products once every 7 days for the previous 7 days. Target Percentage CPA — This is your target for overall CPA (cost per acquisition). Please Note, actual CPA values are considered negatively or positively based on whether they are higher or lower respectively than this value. Stock Notification Voucher Amount — The amount offered in the voucher. This must be a positive number in order to use vouchers in Stock Notification System Emails. Stock Notification Voucher Discount Type — This can be a percentage or money-off a total basket value. Stock Notification Voucher Duration Days — This defines how long a voucher will be useable. This must be a positive number in order to use vouchers in Stock Notification System Emails. Stock Notification Voucher Min Basket Total — This defines the minimum value that a basket must have before a voucher can be offered. This group includes several settings for VAT rates — refer to the tool tips for details (you can view tool tips by hovering your cursor over the question mark (‘?’) in the blue square adjacent to each setting). Cache Version — Increasing the Cache Version will uncache all front-end elements such as banners, home pages and navigation elements (if you want to uncache only banners or only the desktop stylesheet or only the mobile stylesheet, see the other Application Settings described below). This can be incremented or changed automatically from the bottom nav by clicking the 'Uncache' button or from the Application Settings > Reload Settings page. Cache Version Banners — Increasing the Cache Version Banners value will uncache only front-end banner elements (not the whole site). This can be incremented and is changed automatically when a banner is inserted, or updated in IRP Admin. This is also incremented when a banner is scheduled to activate or deactivate. See Banners for more details. Cache Version Stylesheet — The Cache Version of the Website CSS Stylesheet. The Website CSS Stylesheet will be uncached when a style is changed in the IRP Admin section and you will notice that the value of this Application Setting will increase when those changes are made. This allows the Website CSS Stylesheet to be uncached separately from the whole site being uncached (uncaching the site generally will also cause the Website CSS Stylesheet to uncache but so will everything else). Cache Version Mobile Stylesheet — The Cache Version of the Mobile CSS Stylesheet. The Mobile CSS Stylesheet will be uncached when a style is changed in the IRP Admin section and you will notice that the value of this Application Setting will increase when those changes are made. This allows the Mobile CSS Stylesheet to be uncached separately from the whole site being uncached (uncaching the site generally will also cause the Mobile CSS Stylesheet to uncache but so will everything else). Cache Version Trade Stylesheet — The Cache Version of the Trade CSS Stylesheet. The Trade CSS Stylesheet will be uncached when a style is changed in the IRP Admin section and you will notice that the value of this Application Setting will increase when those changes are made. This allows the Trade CSS Stylesheet to be uncached separately from the whole site being uncached (uncaching the site generally will also cause the Trade CSS Stylesheet to uncache but so will everything else). Enable Telesale Checkout — If enabled, the Telesale Checkout will be available for customers and a Telesale Basket reference will be rendered on the Customer's Basket page so that a Telesales advisor can quickly gain access to their Basket. The key setting is Enable Affiliate Window — this enables the Affiliate Window Tracking Script to be rendered on the Order Confirmation page. Affiliate Window Confirmation Pixel URL: The source of the Affiliate Window pixel image to be displayed on the Order Confirmation page. This image link is made up of the Pixel URL, the Affiliate Window Merchant ID, the Order ID, the Order Total. Affiliate Window Merchant ID: Part of the Affiliate Window pixel image to be displayed on the Order Confirmation page. Also used in the Affiliate Window Tracking script on the Basket, Brand Category, Brands, Categories, Contact Retailer to Buy, Custom Content Pages, Home Page, Help, Information, Job Details, Kits, Kits Confirm, Models, News Archive, Offers, Partner Links, Partner Set Up, Partner Set Up Complete, Postage Information, Recently Viewed, Recommendations, Reviews, Reviews Submit, Search Results, Site Map, Wish List and Mobile equivalent pages. Affiliate Window Run In Test Mode: Determines whether or not the Affiliate Window pixel image link is displayed in Test Mode. Affiliate Window Tracking Script URL: The URL of the Affiliate Window Tracking Script that is placed on the Basket, Brand Category, Brands, Categories, Contact Retailer to Buy, Custom Content Pages, Home Page, Help, Information, Job Details, Kits, Kits Confirm, Models, News Archive, Offers, Partner Links, Partner Set Up, Partner Set Up Complete, Postage Information, Recently Viewed, Recommendations, Reviews, Reviews Submit, Search Results, Site Map, WishList and Mobile equivalent pages. AWIN Partner/SalePartner IDs should be set in an array named irpAWINPartnerIDs. Rakuten Partner/SalePartner IDs should be set in an array named irpRakutenPartnerIDs. Upon setting these arrays with corresponding Partner/SalePartnerID values, when AWIN and Rakuten scripts are rendered, a flag will be set on each to determine whether commission should be allowed or not depending on which Affiliate Partner obtained the credit for the sale. If an order has no voucher, the standard Commission Group will be used. If a voucher has been used, compatible Affiliate Network scripts will be modified so that if a product has no specific Commission Group assigned to it via its Category (using the 'Commission Group' setting in the 'Advanced Information' section of the CategoriesEdit.aspx page), it will be assigned whatever value you have entered for the 'Affiliate Marketing Voucher Commission Group' Application Setting as its Commission Group, for example: 'VoucherCommissionGroupText'. If the product does have a Category-specific Commission Group, the name of the new Commission Group will be composed of whatever value you have entered for the 'Affiliate Marketing Voucher Commission Group' Application Setting followed by a '-', followed by the value that you have entered for the Category-specific Commission Group, for example: 'VoucherCommissionGroupText-CategoryCommissionGroupText'. If an order has a voucher and the product does have a Category-specific Commission Group, the Category-specific Commission Group will be used, for example: CategoryCommissionGroupText'. If an order has a voucher and the product does not have a Category-specific Commission Group, the standard Commission Group will be used. NOTE: See below for some additional scenarios. If an order is placed by an existing customer, the standard Commission Group will be used. If a new customer has placed the order, compatible Affiliate Network scripts will be modified so that if a product has no specific Commission Group assigned to it via its Category (using the 'Commission Group' setting in the 'Advanced Information' section of the CategoriesEdit.aspx page), it will be assigned whatever value you have entered for the 'Affiliate Marketing New Customer Commission Group' Application Setting as its Commission Group, for example: 'NewCustomerCommissionGroupText'. If a new customer has placed the order and the product does have a Category-specific Commission Group, the name of the new Commission Group will be composed of whatever value you have entered for the 'Affiliate Marketing New Customer Commission Group' Application Setting followed by a '-', followed by the value that you have entered for the Category-specific Commission Group, for example: 'NewCustomerCommissionGroupText-CategoryCommissionGroupText'. If a new customer has placed the order and a free or club voucher has been used on the order and the product has a Category-specific Commission Group, the name of the new Commission Group will be composed of whatever value you have entered for the 'Affiliate Marketing Voucher Commission Group' Application Setting followed by a '-', whatever value you have entered for the 'Affiliate Marketing New Customer Commission Group' Application Setting followed by a '-', followed by the value that you have entered for the Category-specific Commission Group, for example: 'NewCustomerCommissionGroupText-VoucherCommissionGroupText-CategoryCommissionGroupText'. If the order is placed by a new or existing customer and the product does have a Category-specific Commission Group, the Category-specific Commission Group will be used, for example: CategoryCommissionGroupText'. If the order is placed by a new or existing customer and there is no Category-specific Commission Group, the standard Commission Group will be used. If the order is placed by a new or existing customer and the product does have a Category-specific Commission Group, the name of the new Commission Group will be composed of whatever value you have entered for the 'Affiliate Marketing Voucher Commission Group' Application Setting followed by a '-', followed by the value that you have entered for the Category-specific Commission Group, for example: 'VoucherCommissionGroupText-CategoryCommissionGroupText'. If the order is placed by a new or existing customer and there is no Category-specific Commission Group, whatever value you have entered for the 'Affiliate Marketing Voucher Commission Group' Application Setting will be used, for example, 'VoucherCommissionGroupText'. NOTE: There are a large number of possible combinations of Application Setting values and Category-specific values and so the above representative examples are provided to give you a general understanding of how the functionality works. The key setting is Enable Clix Galore Order Tracking — this enables the Clix Galore Order Tracking script to be rendered on the Order Confirmation page. You can also define the Clix Galore Account ID - this is the Account ID appended to the Clix Galore Tracking Image (Clix Galore Order Tracking must be enabled for this to work). This grouping includes the key setting for enabling IRP support for Commission Junction: Enable Commission Junction Conversion Tracking. You can also configure the following settings: Commission Junction Action ID, Commission Junction Container Tag ID and Commission Junction Enterprise ID. The key setting is Enable Criteo — this enables the Criteo Script to be rendered across pages that it has been enabled on. You can also configure the following settings: Criteo Enable On Basket, Criteo Enable On Home Page, Criteo Enable On Listing Pages, Criteo Enable On Models Page Criteo Enable On Order Confirmation and Criteo Loader Element URL. Emarsys Merchant ID — You can get this from your Emarsys account. Enable Emarsys Web Extend — This enables the Emarsys data collection module, which tracks visitor interactions on your website and processes this input to serve validated data to various Emarsys products (see Web Extend – Overview). The key setting is Enable Google Adwords Conversion Tracking — this determines whether Google Adwords Conversion Tracking is enabled on the Order Confirmation page. Google Adwords Conversion Tracking Back Ground Color — The Background Color (hexadecimal format) set on the Google Adwords Conversion Tracking script which is placed on the Order Confirmation page. Please omit the hash (#) from this value. Google Adwords Conversion Tracking Format — The Format set on the Google Adwords Conversion Tracking script which is placed on the Order Confirmation page. For further information on this, please refer to the Adwords Conversion Tracking documentation supplied by Google. Google Adwords Conversion Tracking ID — The Tracking ID set on the Google Adwords Conversion Tracking script which is placed on the Order Confirmation page. Google Adwords Conversion Tracking Label — The Tracking Label set on the Google Adwords Conversion Tracking script which is placed on the Order Confirmation page. Another setting to point out is Google Remarketing Use Stock ID For Ecomm Prod ID: When enabled, Stock IDs (including the Stock ID suffix from the Google Shopping feeds) will be used for the ecomm_prodid values for Google remarketing information on product, basket, and order confirmation pages. When disabled, Model IDs will be used. The suffix will be taken from the feed based on the country it is being viewed from. If there is no feed for the specific country then the default country suffix will be used. Enabling this setting can be useful if most models have only one or a few stock options. Google Adwords Conversion Tracking Use Gtag — This enables the use of the gtag.js Global Site Tag for use with Google AdWords Conversion Tracking. Google Adwords Conversion Tracking Gtag Conversion ID — The Google AdWords Account ID provided on creation of the Google AdWords account. – If you have two different AdWords accounts and you want the gtag to report to both accounts, you can set the value of 'Google Adwords Conversion Tracking Gtag JSID' to the first AdWords account and then also set the value of 'Google Adwords Conversion Tracking Gtag Conversion ID' to the second AdWords account. – If you have only one AdWords account, then you should use only 'Google Adwords Conversion Tracking Gtag Conversion ID'. Google Adwords Conversion Tracking Gtag Conversion Label — The Google AdWords Account Conversion Label provided on the creation of the Google AdWords account. Google Adwords Conversion Tracking Gtag Disable Send Page View — This allows you to set the native Google AdWords tracking script to not send a page view to Google AdWords, with the intention that the new Application Setting is used in conjunction with a Dynamic Remarketing script to prevent duplicate tracking. Google Adwords Conversion Tracking Gtag Use Charging Currency For Pricing — When enabled, conversions tracked by Google AdWords will be recorded in the charging currency of the Order, otherwise they will be tracked in the default site Currency. Enable Google Analytics: This determines whether the Google Analytics Tracking Script is rendered on the front end website pages. Enable Google Analytics Order Information: This determines whether the Google Analytics Order Information Script is rendered on the Order Confirmation page. Google Analytics Tracking Code: This is the Google Analytics Tracking Code set against the Google Analytics Tracking script which is placed on the Order Confirmation page. Google Analytics Use Universal Analytics: If you enable this, the Universal Analytics Tracking Script will be rendered instead of the Google Tracking Script. Please note that you cannot undo upgrading to Universal Analytics. Also, you must go through the update process in your Google Analytics account before the Universal Analytics scripts will record activity. If you do not upgrade your Google Analytics account — and still choose to enable this setting — then activity will not be recorded properly. 1. In your Analytics, go to Admin >> Property (in the middle) >> Custom Definitions >> Custom Dimensions. Create a new Custom Dimension. Name it 'gclid'. Set the scope to User. Make it Active. Note the dimension number. In this case, you should enter dimension1 for this field. The IRP takes care of actually completing step 2. Enable Google Optimize: This is the main switch for enabling the Google Optimize functionality to work on IRP sites. IMPORTANT: It's important to make sure that if you have turned on Google Optimize, you have turned it on for a reason (i.e. you are running strictly-defined tests on a specific user set and with a specific goal). NOTE ALSO that running Google Optimize will slow down your page load time. Always consult with your IRP Account Manager before enabling Google Optimize. Google Optimize Container ID: You can find this ID in your Google Optimize account settings by clicking 'View Snippet' in the container info panel and locating the code that reads 'GTM-XXXXXX' (with 'XXXXXX' replaced with your specific ID). NOTE: You should enter only the 'XXXXXX' part of the ID, not the 'GTM-' part. When Google Optimize is enabled (via the above setting) and a Google Optimize Container ID is set, additional Google Optimize tracking script code will be rendered along with the existing Google Analytics tracking script rendered natively on each page within the IRP. Google Analytics Use Enhanced Ecommerce: This enables the use of Google Analytics' 'Enhanced Ecommerce' to track site events. Google Analytics Enhanced Ecommerce Use Charging Currency For Pricing: When enabled, tracked site events will have pricing recorded in the currency being charged. For example, if a customer is using a currency different to that of the default site currency, and that currency is enabled for charging, this setting will enable the customer's events throughout the site to be tracked in their currency. Google Analytics Tracking Code Trade: This can be used to track Trade site on a separate Google Analytics account. If a value is not set, Trade customer event tracking will occur on the Google Analytics account set against the Google Analytics Tracking Code setting instead. Enable Google Tag Manager: This is the main switch that enables the use of Google Tag Manager to track site events. Google Tag Manager Tracking Code: This is used to set the Google Tag Manager Tracking Code that is supplied when a Google Tag Manager account is initially created. This should be set with the 'GTM-' prefix included. Google Tag Manager Use Charging Currency For Pricing: When enabled, tracked site events will have pricing recorded in the currency being charged. For example, if a customer is using a currency different to that of the default site currency, and that currency is enabled for charging, this setting will enable the customer's events throughout the site to be tracked in their currency. The key setting is Enable Net Media Planet Mercury — this enables the Net Media Planet PPC script to be rendered on the Order Confirmation page. Olapic API Key: Enter the Olapic API Key (up to 100 characters allowed). Enable Rakuten Marketing Integration: When enabled the Rakuten marketing scripts will be rendered on the front end of the IRP. This will include the integration code which will be rendered on each page and the data layer which will be rendered on the order confirmation pages. Note - values must be added for ‘Rakuten Marketing Affiliate MID’, ‘Rakuten Marketing Publisher ID’ and ‘Rakuten Marketing Site Section’ before enabling this integration. Rakuten Marketing Affiliate MID: This value will be provided as part of the welcoming email from Rakuten. It is your uniquely assigned affiliate MID which distinguishes your account uniquely from other advertisers. This must be added before enabling the Rakuten integration. Rakuten Marketing Publisher ID: This is your publisher ID provided by Rakuten which must be included in the integration code that will be rendered on every front end page. This must be added before enabling the Rakuten integration. Rakuten Marketing Site Section: This should be 2 by default and should not be changed unless you are specifically instructed to by your Rakuten implementation consultant. Enable Rakuten Fits Me Integration: When enabled, the Rakuten marketing scripts will be rendered on the front end of the IRP. This will include the integration code which will be rendered on each page and the data layer which will be rendered on the order confirmation pages. May be used in conjunction with 'Enable Rakuten Marketing Integration', but 'Rakuten Marketing Publisher ID' and 'Rakuten Marketing Site Section' for both integrations should match. If you are unsure about these values and their relation to each integration, contact your Account Manager. Note: values must be added for 'Rakuten Fits Me Client External ID', 'Rakuten Marketing Publisher ID' and 'Rakuten Marketing Site Section' before enabling this integration. For more details about Fit Me, visit the Rakuten Fits Me Website. Rakuten Fits Me Client External ID: This is your Client External ID provided by Rakuten which must be included in the integration code that will be rendered on every front end page. This must be added before enabling the Rakuten 'Fits Me' integration. You must add values to all of the Rakuten Application Settings before enabling the Rakuten integration. When enabled, the Rakuten global script code will be rendered on every front end IRP page and the Rakuten data layer code will be rendered on the Desktop and Mobile site OrderConfirmation.aspx pages (OrderConfirmation.aspx, OrderFinanceConfirmation.aspx, MobileOrderConfirmation.aspx and MobileFinanceOrderConfirmation.aspx). The confirmation script will be populated with all order and order item details in the charging currency. Order Confirmation BCC Email Address: An email address that each Order Confirmation email should be BCC'd to. Leave blank to switch off this feature. Trust Pilot Dispatch Email Address: Email Address that the Order Complete Email is BCC'd to so that Trustpilot can prompt the customer to write a review of the site. Trust Pilot Default Template ID: When sending Trustpilot, emails this Template ID will be used if there is no Trustpilot Template ID for the shipping country or language of the customer. Trust Pilot Preferred Send Time Delay In Days: Trustpilot review emails will be sent to customers this number of days after their order has been completed. Enable Webgains Affiliate Marketing: Check to enable WebGains Affiliate Marketing. Webgains Affiliate Marketing Default Event ID: The default WebGains Affiliate Marketing Event ID will be used if the setting is enabled and no Event ID has been configured against a Category. See the Categories help topic for more information. Webgains Affiliate Marketing Program ID: The unique Program ID provided by WebGains. Webgains Include Tax In Totals: If enabled, order totals will be calculated with tax included. If not enabled, tax will be deducted from order totals. The key setting is Enable Zanox — this enables the Zanox Tracking Script to be rendered on the Order Confirmation page. Includes settings to enable the EPOS till and configure some of its features. The key setting is Epos Enable Till — if you don’t enable this then no one is able to use the till. Enable Trade Site Invoicing: Enable this setting to enable Invoicing functionality to be made available on the front-end Trade site and within the Orders section of IRP Admin. When disabled, further Trade orders placed on Account will no longer affect customers' Credit Balance and invoicing functionality throughout the front-end Trade site and Orders section of IRP Admin site will no longer be available. Invoicing alerts will also be disabled. This group enables or disables usage tracking and real-time tracking. Enable Logging Check this box to enable the application to log its errors in the Windows event log and via email. Error Email Address Enter the email address where you want standard site errors to be sent. Windows Event Log Enter the Windows events log that you want the application to use, for example, Application, System. You can also use your own created event logs. Windows Event Log Source This appears as the source of errors in the Windows event log. Critical Alert Email Addresses Enter a comma-separated list of email addresses that will receive important system alerts. Redirect To HomePage on Error Check this box to redirect users who encounter errors to the home page of the site, rather than the Diagnostics.aspx page. TradeTalk Trader ID Enter the Trader ID of your account with TradeTalk. TradeTalk Email Address Enter the email address of your account with TradeTalk. TradeTalk Password Enter the password of your account with TradeTalk. Application URL Enter the main URL of your site. This is used when moving to and from HTTPS secure URLs. Ensure that it ends with a "/", for example, www.mydomain.com/. Company Name Enter the name of your company, for example, My Company Name. Website Name Enter the name of your website, for example, MyCompanyName.com. Site Email Address Enter the default email address to be used for sending emails from your website. Cookie Domain Name CAUTION: This setting is important. Once your store is live, this setting should be set to the root domain of your website. For example, if your site responds on mydomain.com and www.mydomain.com, this should be set to mydomain.com so that the same cookie will be available for both URLs. Force Admin under HTTPS Check this box to force all access to the administration to use SSL - if your site is protected by an SSL certificate, this setting is strongly recommended. Disable Browser Login Caching Check this box to stop browsers offering to remember a user's logging details when they log in. Enforce Two-Factor Authentication For Admin Logins When enabled, this setting forces all users to enable Two-Factor Authentication on their admin accounts. Disable Third Party Scripts On Payment Page Check this box to disable scripts that run on the page that accepts card details. If you have any trust issues with scripts, you should check this setting. Bear in mind that it may affect tracking and analytics functionality. Web Farm Server Identifier Only set a value for this setting if this application resides within a web server farm. It is used to distinguish between the servers. If you don't know what this means, leave it blank. aspnet:MaxHttpCollectionKeys You only need to adjust this setting if you are receiving errors such as 'Operation is not valid due to the current state of the object'. Increase the value until the error is resolved. MaxIRPErrorsPerMinute This is the maximum number of errors that will be recorded in the IRP database per minute. This setting should not need to be adjusted unless too many errors are coming through on an ongoing basis. These events will be tracked on Desktop, Mobile, Private Sale and Trade sites. Your Google Analytics Portal 'Admin' section. Your IRP Admin under Application Settings > Third Party - Google Analytics. Set 'Currency displayed as' to the correct value (for example, GBP). Ensure that 'Enable E-commerce' is switched on. Ensure that 'Enable Enhanced E-commerce Reporting' is switched on. Create Checkout Funnel Steps for: Login, Billing Address, Delivery Address, Postage, Payment and Order Summary. If you have a Trade site and if you want to track it via a separate Google Analytics account, repeat the currency display and e-commerce settings steps described above (if you do this, see Step 2 in the following section called IRP Setup regarding the 'Google Analytics Tracking Code Trade' Application Setting). Ensure that you have entered the correct Tracking ID (found under 'Property Settings' in the Google Analytics Portal > Admin section) excluding the 'UA-' prefix as the value for the IRP Application Setting called Google Analytics Tracking Code. If you have a separate Google Analytics account for a Trade site, ensure that you set the Application Setting called Google Analytics Tracking Code Trade (under Application Settings > Third Party - Google Analytics) to the Tracking ID of the Trade Site Property. If you don't set a value for this setting, Trade customer event tracking will occur on the standard Google Analytics account set against the 'Google Analytics Tracking Code' setting instead. Also make sure that you have configured your currencies correctly, for example so that GBP has 'Charge Orders In This Currency' enabled. On your website (desktop or mobile), view a model and add a stock item to the basket, ensuring that it is correctly added. Then observe the 'Events' page of the 'Real Time' section of your Google Analytics account and ensure that an 'add to basket' click event is detected. Do the same as above only this time remove an item from your basket and ensure that a 'remove from basket' click event is detected in Google Analytics. Observe the 'Sales Performance' page of the 'Conversions' section and ensure that the order appears as a Transaction. Ensure that the pricing and quantity of the items are correct. Observe the 'Product Performance' and 'Checkout Behavior' pages of the 'Conversions' section and ensure that the tracking is correct. Your Google Tag Manager account. Add a Tag, choosing 'Google Analytics - Universal Analytics' as the Tag Type and 'Pageview' as the Track Type. In the 'Google Analytics settings' drop-down list, select 'New Variable' and enter your Google Analytics Tracking ID. In the 'More Settings' section, select the 'Ecommerce' drop-down menu and check the 'Enable Enhanced Ecommerce Features' and 'Use data layer' boxes. Set the 'Google Analytics settings' drop-down to your Google Analytics settings. Create a Trigger for the Tag by selecting 'DOM Ready' from the Page View Trigger Types section. Select the 'All DOM Ready Events' radio button option and save the Trigger as 'Product Page View Trigger'. Save the Tag as 'Product Page View Tag'. Add a Tag, choosing 'Google Analytics – Universal Analytics' as the Tag Type and 'Event' as the Track Type. Set the Category as 'Ecommerce' and the Action as 'Add to Cart'. Create a Trigger for the Tag by selecting 'Custom Event' from the Other Trigger Types section. Set the 'Event name' to 'addToBasket' (case sensitive) and select the 'Some Custom Events' radio button option. Set 'Event', 'equals' and 'addToBasket' from the Condition drop-down lists. Save the Trigger as 'Add To Basket Trigger'. Save the Tag as 'Add To Basket Tag'. Add a Tag, choosing 'Google Analytics – Universal Analytics' as the Tag Type and 'Event' as the Track Type. Set the Category as 'Ecommerce' and the Action as 'Remove from Cart'. Create a Trigger for the Tag by selecting 'Custom Event' from the Other Trigger Types section. Set the 'Event name' to 'removeFromBasket' (case sensitive) and select the 'Some Custom Events' radio button option. Set 'Event', 'equals' and 'removeFromBasket' from the Condition drop-down lists. Save the Trigger as 'Remove From Basket Trigger'. Save the Tag as 'Remove From Basket Tag'. Add a Tag, choosing 'Google Analytics – Universal Analytics' as the Tag Type and 'Event' as the Track Type. Set the Category as 'Ecommerce' and the Action as 'Checkout'. Create a Trigger for the Tag by selecting 'Custom Event' from the Other Trigger Types section. Set the 'Event name' to 'checkout' (case sensitive) and select the 'Some Custom Events' radio button option. Set 'Event', 'equals' and 'checkout' from the Condition drop-down lists. Save the Trigger as 'Checkout Trigger'. Save the Tag as 'Checkout Tag'. Submit Workspace Changes to push the Tag configurations to the Google Tag Manager account. In IRP Admin under Application Settings > Third Party - Google Analytics, enter the 'GTM-XXXXXX' string (displayed in the installation instructions for the <head> and <body> scripts in your Google Tag Manager account) as the value of the Google Tag Manager Tracking Code Application Setting. Make sure you include the ‘GTM-‘ prefix. Enable the Enable Google Tag Manager Application Setting. This is the main switch that enables the use of Google Tag Manager to track site events. Enable the Google Tag Manager Use Charging Currency For Pricing Application Setting. When enabled, tracked site events will have pricing recorded in the currency being charged. For example, if a customer is using a currency different to that of the default site currency, and that currency is enabled for charging, this setting will enable the customer's events throughout the site to be tracked in their currency. On your website (desktop or mobile), view a model and add a stock item to the basket, ensuring that it is correctly added. Ensure that the Product Page View Tag is fired on the Page Load and that the Add To Basket Tag is fired when the item is added to the basket. Then observe the 'Events' page of the 'Real Time' section of your Google Analytics account and ensure that an 'add to basket' event is detected. Do the same as above only this time remove an item from your basket and ensure that the Remove From Basket Tag is fired. Ensure that a 'remove from basket' event is detected in Google Analytics. The Checkout tag is fired on each Checkout page. Place an order and observe the 'Sales Performance' page of the 'Conversions' section to ensure that the order appears as a Transaction. Observe the 'Product Performance' and 'Checkout Behaviour' pages of the 'Conversions' section and ensure that the tracking is correct.